(2017). Investigation of phosphor percent and distribution on surface properties in alumina nanotube substrate. International Journal of Bio-Inorganic Hybrid Nanomaterials, 6(1), 37-41.
. "Investigation of phosphor percent and distribution on surface properties in alumina nanotube substrate". International Journal of Bio-Inorganic Hybrid Nanomaterials, 6, 1, 2017, 37-41. (2017). 'Investigation of phosphor percent and distribution on surface properties in alumina nanotube substrate', International Journal of Bio-Inorganic Hybrid Nanomaterials, 6(1), pp. 37-41. Investigation of phosphor percent and distribution on surface properties in alumina nanotube substrate. 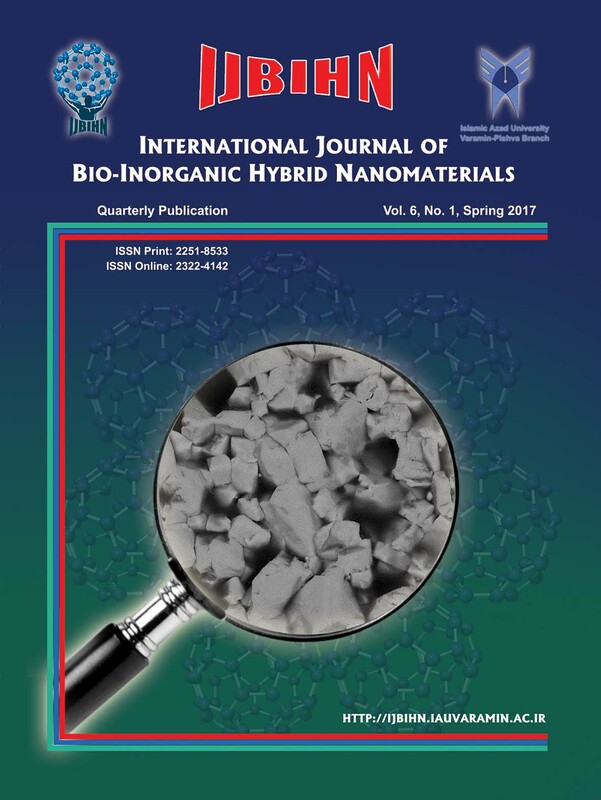 International Journal of Bio-Inorganic Hybrid Nanomaterials, 2017; 6(1): 37-41. Electroless composite coatings used for achieving of high hardness, lubrication properties, non-stick surface, abrasive coating applications that by impregnation of soft and hard particles into Ni matrix. Electroless Nickel-phosphorous coatings properties and performance is greatly affected by the amount of phosphorus in them. The phosphor in this coating usually varies from 1 to 13 percent. In this project we investigated effect of phosphor percent and distribution of it in alumina nanotube substrate. In this study we investigate effect of phosphor percent in distribution on substrate and our results suggest that the surfaces of Ni-P coatings are very complex in character, with a variety of features, which affect the function of the part in different ways.